Following Saturday’s 1-1 draw against bitter rivals Orlando Pirates, Kaizer Chiefs coach Ernst Middendorp was happy with his side’s performance, but disappointed with the result. For Chiefs, the draw was not a good result, but it was not bad either. It was not good in that it didn’t do their Premiership title ambitions any good, and it was not bad in that they ended Pirates’ winning streak in the Soweto Derby. Chiefs are now seventh in the standings with 24 points, nine behind Wits with 10 matches left. 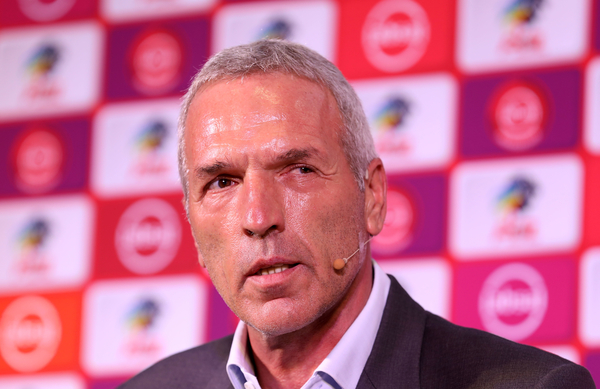 Coach Ernst Middendorp looked satisfied after the match where emotions on both benches peaked at some stages. “It was a very intensive game against a team who are playing (Caf) Champions League and are set for the semifinals and even more, and if we are capable of such a performance tactically (against such a team). Of course I am disappointed – not with the performance but the result. “We have had enough games now to put up a performance whether it is against Cape Town City or Sundowns. It should have been another outcome,” said the coach. Chiefs’ next assignment is a Nedbank Cup last-16 match against ABC Motsepe League side The Magic FC at Nelson Mandela Bay Stadium in Port Elizabeth on Sunday afternoon.